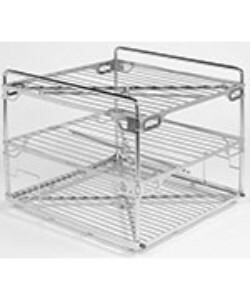 This manifold rack has been designed to hold both multi-function racks for large and small items during processing. It is high quality and built with cool touch handles, stainless steel structure and electro polished finish which makes this ultra durable and highly versatile to accommodate your processing needs. Washer Manifold for 444 and Synergy Washers. Available in two, three and four levels.